With the real estate management of the Hamburg Port Authority (HPA), we underpin the growth trend and the future orientation of the Hamburg Port site. On the one hand, we strengthen the port economy and the economy of the entire metropolitan region with tailored real estate solutions for companies and shipping service providers. On the other hand, we are contributing with our active and strategic oriented property management to the preservation of the industry's diversity and thus to the long-term development of the port of Hamburg. Please contact our sales department if you are looking for a property with or without a quay wall, a building or a swimming plant. If you are already a tenant in the port and have questions, please contact our tenant service. At the Peutestraße 22, the buildings 10 and 11 have shone brightly since early 2016, combining modern environmental standards with historical charm. About 22,000 m² in listed buildings are available to tenants. Industrial buildings also belong to the cultural heritage. The brick building, which is under monument protection, has been extensively renovated, taking into account the historical significance. Extensive measures, such as concrete, core and pollutant refurbishment, renewal of the basic pipeline, replacement of the windows and the installation of new lifts, now offer modern comfort and the latest environmental standards. After completion of the works in the first quarter of 2016, the building Peutestraße 22 has been rented for the most parts. Currently, there are only some last free spaces left. 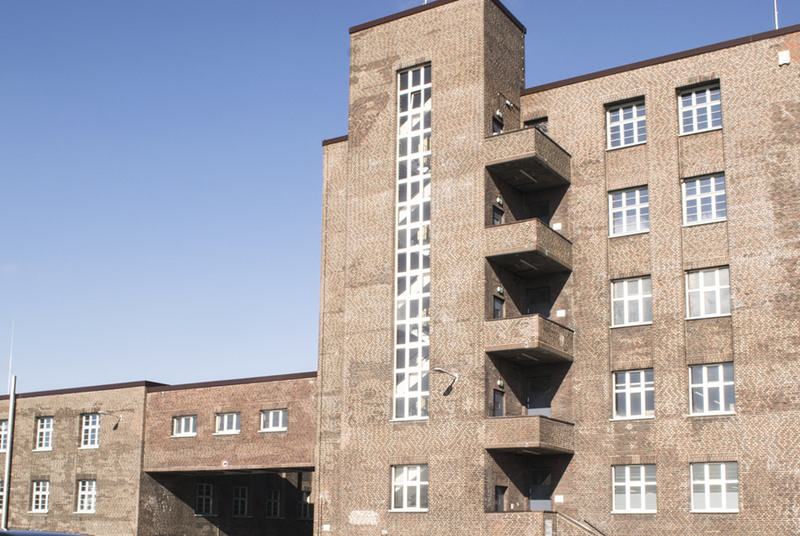 The restoration measures at the building Peutestraße 22a were completed in the third quarter of 2015, and the new tenants have already moved in. In co-ordination with the monument authority of the city of Hamburg, the 5th floor of building No. 10 is used by the cultural authority. Both buildings are subdivided into several units and offer rental sizes of approx. 1,000 m², of which approx. 800 m² are used as storage areas and 200 m² as office and sanitary areas. About 22.000 m² of these historic buidlings are available for tenants. Here you will find all the downloads of the branch property management already prefiltered. Didn´t find the right download? In our Download Centeryou will find every download of our HPA. All the contacts of this branch are already prefiltered for you. Are you a tenant or user in the port? Then you are right with us. In our property management, we manage all rental, permitting and utilization agreements for land, buildings, swimming plants. If you are involved in the construction of leased areas from the HPA in the case of construction projects on contaminated sites or weapons, we develop solutions with you. We are your first point of contact for property questions, purchases and pre-emptive rights in the port. You can find all contacts in the contact center under Property Management. The sales team is the central point of contact for all questions concerning rental of areas, buildings, quay walls and floating installations of the HPA. It is the primary contact for customers and accompanies them through the entire process from the initial idea to the handing over of the rental objects. Another major focus of the team is the realization of real estate projects, e.g. new building and conversion, renovations and remediation of existing buildings, the construction of port areas in a rentable state and much more. The sales staff is not only the touchpoint for customers with new arrivals, but also for the already established companies with regard to extensions, relocations or other changes. All sales contacts can be found in the Contact Center under "Sales Team". Transparency and facts: Whether press releases, background information or image material - use our input.